​West Ham are lining up potential moves for a whole host of strikers as they prepare themselves for life without their talisman Marko Arnuatovic. The Hammers recently received a £35m bid from an unnamed Chinese club for Arnautovic and, despite the fact that the club have expressed their intentions to hold on to the Austrian, it appears as though he wants to leave, with his brother and agent confirming that he is keen to accept the offer from China. According to Football.London journalist ​Sam Inkersole, ​West Ham are bracing themselves for ​Arnautovic's seemingly inevitable departure and are already lining up a host of potential replacements for the remainder of the January transfer window. Inkersole suggests that the Hammers are already in the market for Premier League strikers Callum Wilson, ​Olivier Giroud and Aleksandar Mitrovic and he also tipped the London outfit to reignite their interest in former transfer targets Wissam Ben Yedder and Moussa Marega. ​Sapo Desporto reported that West Ham failed to pull off a move for Marega last summer, whilst Ben Yedder was previously touted to make the move over to the London Stadium back in 2016. 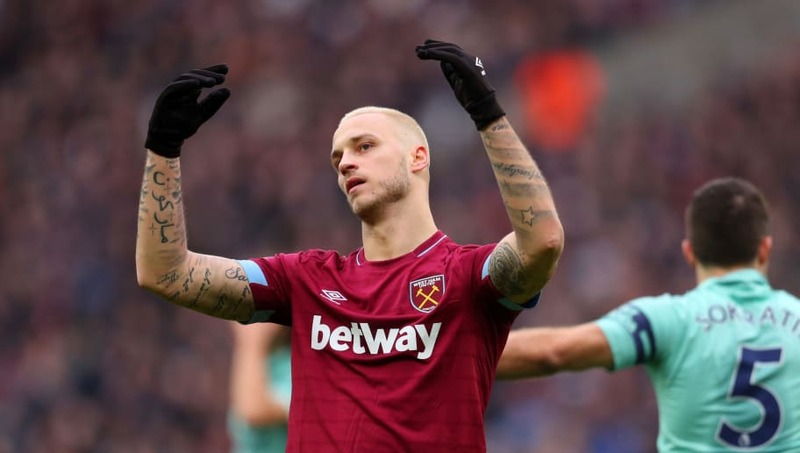 West Ham manager Manuel Pellegrini has already had his say on the future of Arnautovic and refused to rule out his departure - suggesting that investing in a new striker may be on the cards. "We will see what happens in the next few days," he told reporters, as per ​The Mirror.